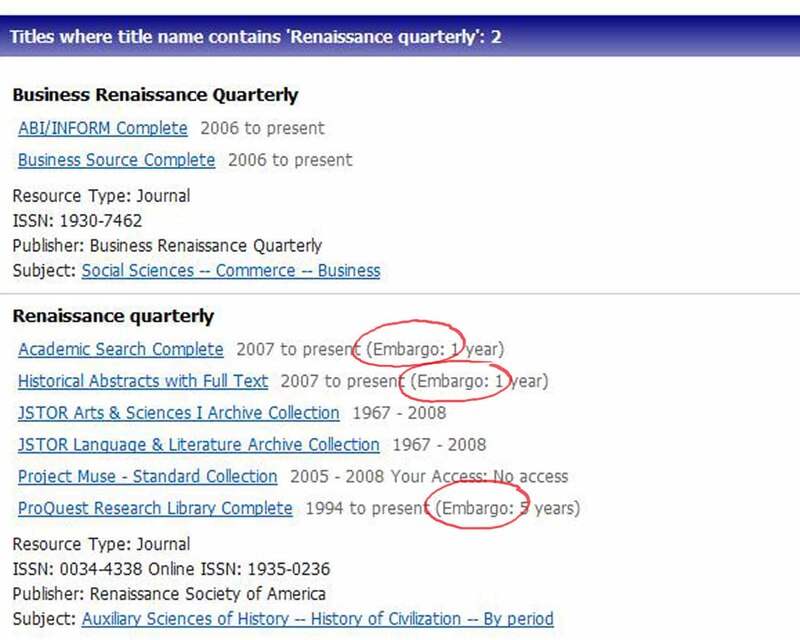 A guide for finding full-text periodical articles held by Lewis Library. If you’re looking for a periodical article (from a journal, magazine, or newspaper), these tips will help you determine whether Lewis Library has access to the full text. If we don’t have full text in any of our databases, we may have a “hard copy” on the shelf. You can either ask the librarian at the Reference desk, check the Periodical Holdings notebook at the circulation desk, or ask the reference librarian. Again, ask a librarian if you need help. 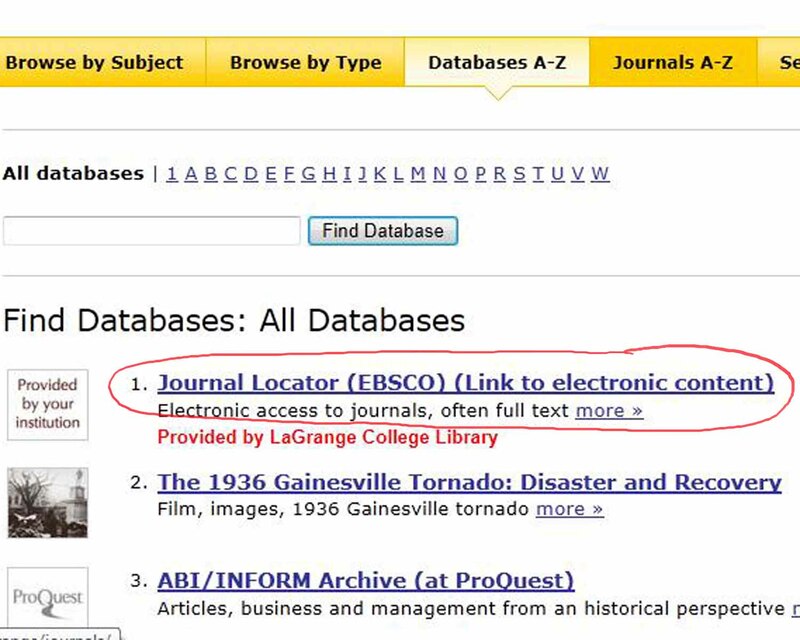 If we don’t have the article you need either in a database or on the shelf, you can request it on Interlibrary Loan. 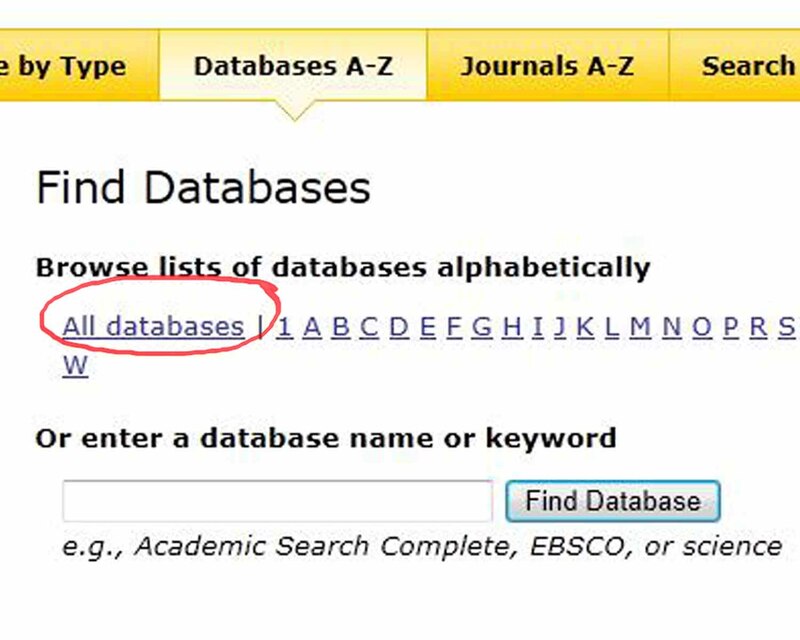 STEP 2: Click on "Databases A-Z," then on "All databases"
STEP 5: The Journal Locator will show you whether we have full text in any of our databases, and for what years. Note: "Embargo: 1 year" means we don't have any full text for the most recent 12 months. STEP 6: Follow the links to the full text of the article. Ask a librarian if you have questions. Note: If you're in a database and a citation doesn't have full text but has a link saying "FullText Finder" or "Linked Full text," you can click on this link; it usually means full text is available in another database, or free online (an "open access" journal).